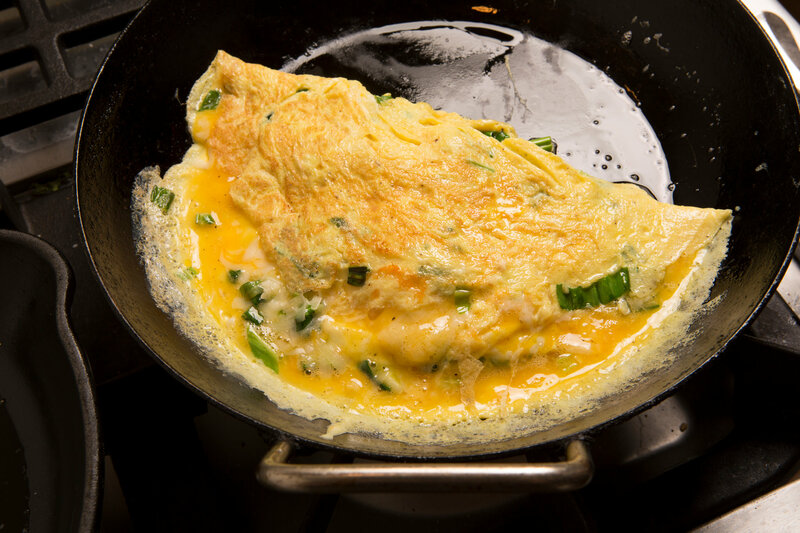 When top surface of eggs is thickened and no visible liquid egg remains, PLACE filling on one side of the omelet. FOLD omelet in half with turner. With a quick flip of the wrist, turn pan and INVERT orSLIDE omelet onto plate. SERVE immediately.